Yesterday, the Orange County Register reported some changes coming to Adventureland. 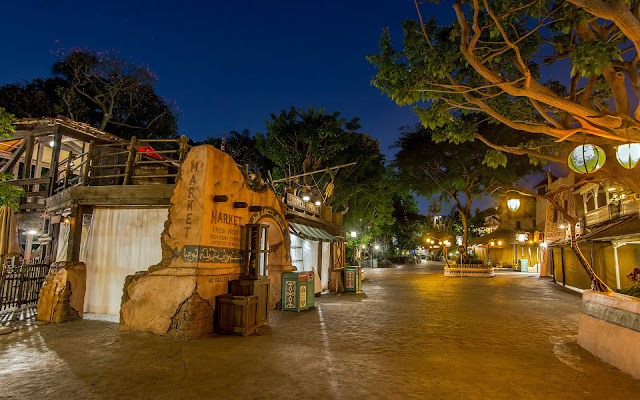 In an effort to ease the crowding that plagues this exotic land during Disneyland's busy days, the Indiana Jones Adventure Outpost and South Sea Traders stores will be removed to make way for a relocated Tropical Imports plus an indoor dining area for Bengal Barbecue that will allow for the outside stand-up dining area to be remove, easing the bottleneck that builds across from the Indiana Jones Adventure. In addition, relocating Tropical Imports will allow for a covered stroller parking area, and the island between the Jungle Cruise and Adventureland Bazaar that currently serves as the stroller parking area will be removed to widen up the paths. 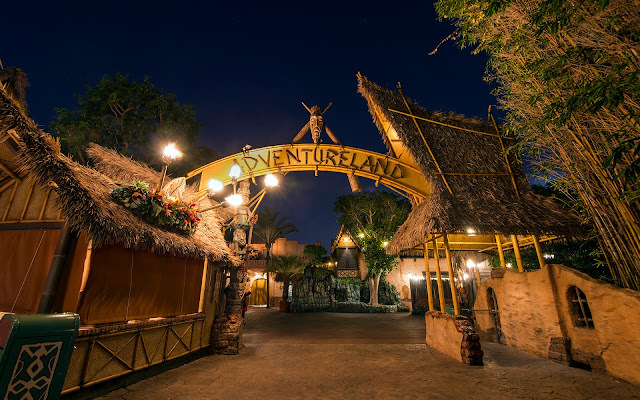 While it will be a shame to lose the stores--especially if that means the permanent removal of Shrunken Ned--it will be nice to have a roomier Adventureland. It is one of the most packed walkways in the park, and though it's a bummer to lose some Disney history, in this case, they're only stores, and the trade-off will be worth it. All the construction is supposed to occur relatively quickly this month, with parts of the project wrapping up by July. Should be interesting to see the results! 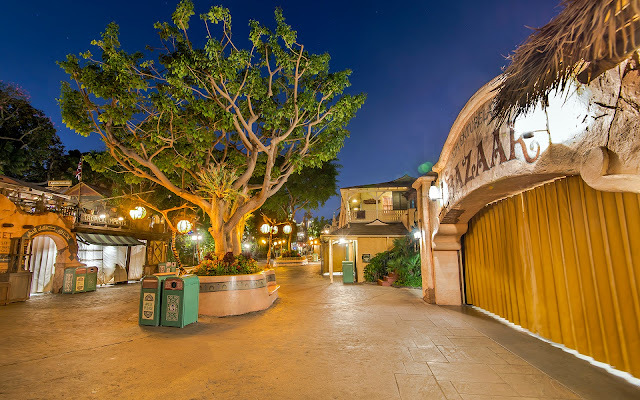 In the meantime, here are some nighttime shots of some of the area... and also the entrance to Adventureland.